1 How to Eliminate Bad Breath Naturally? Most of the people have a question “How to eliminate bad breath forever?”. One cannot bear this bad breath and never want to sit beside the people who have bad mouth odor. Did you face this problem? Yes….Hence, let us control these breathing problems with simple home remedies. 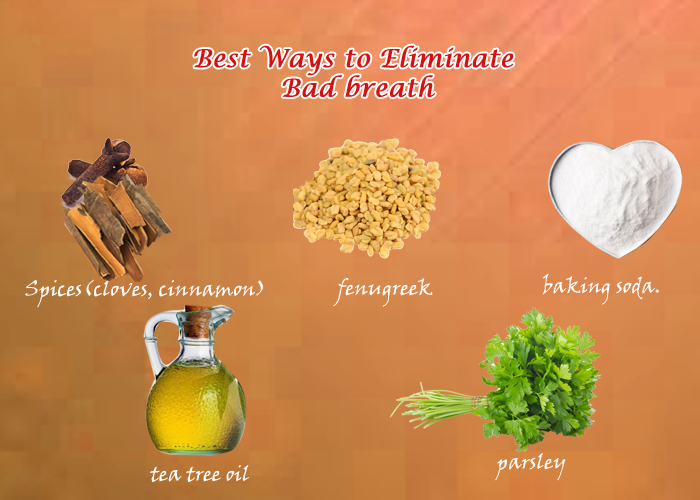 There are many natural solutions to get rid of bad breath in which you can do at home itself. Therefore, follow these natural tips to avoid negative impact on you. First, know the causes behind this bad mouth odor problem. When we eat some food particles, accumulate around the teeth and thereby grows bacteria which is the main cause of bad breath. People who smoke cigarettes or other tobacco products are more prone to halitosis. Even those people will get other forms of bad breath called gum disease. Usually, Saliva cleans your mouth odors. Hence, dry mouth is also one of the bad breath causes. Usage of some medications produce chemicals and hence cause halitosis. These are the causes of Halitosis or Bad Breath for all ages. So, to eliminate bad breath know the natural ways to control halitosis quickly. How to Eliminate Bad Breath Naturally? Bad breath is the most embarrassing situation that one cannot explain nor bear it. Good oral health is necessary to control bad breath or halitosis. Since dry mouth also leads to bad smell, drinking a lot of water is essential for keeping breath fresh. Along with these tips, we have provided proven home remedies to cure bad breath naturally and forever. Hence, have a clear idea about how to use those remedies. Most of us thought mint eliminates bad breath effectively. Of course, it’s true, but mint controls bad breath for some time only. Hence, eat some spices such as fennel seeds, cloves, and cinnamon that helps effectively for getting rid of bad breath fast. Of all, cinnamon stop the stinky smell by killing bacteria which is the main reason for bad breath cause. Hence, cinnamon is the best remedy for removing bad breath. Besides it also burns calories and reduce body fat. Like cinnamon, cloves also have a strong taste and contains medicinal values. Also, the antibacterial, antimicrobial, and antifungal properties of cloves kill all the bacteria which causes Bad Smell. In fact, these spices act as the Breath Fresheners and hence eat these spices to cure bad breath. How to use Cinnamon for Bad Breath Cure? First, grind some Cinnamon Sticks in the form of a fine powder. Add 1 tbsp of this cinnamon powder to a cup of water and then mix well. Steep this mixture for at least 10 minutes. For quick results, add some cardamom and bay leaves to this solution. Strain this mixture and then use this solution to rinse your mouth. Repeat this home remedy twice a day until your stinky breath will be in control. How to use Cloves for Bad Breath Treatment? The first method for controlling bad breath, chew 2 or 3 cloves directly and swallow it. If you can’t eat cloves directly, follow the second method. The second method, take some cloves and made them in the form of powder. Like cinnamon, add this powder to water and boil for 10 minutes. Gargle your mouth with this water for eliminating bad breath. It sounds hard to consume fenugreek seeds directly due to its bitter taste. But fenugreek is the excellent home remedy for Bad Breath Mouth. In addition to stinky breath cure, it also has great benefits like digestive problems, constipation problems, etc. Also, it avoids all the inflammations that occur in and out of our body. When we soak these seeds for 9 hours, it works very effectively. However, consuming fenugreek seeds in the morning improves hair growth. How to Prevent Bad Breath Odors with Fenugreek Seeds? Soak one tablespoon of fenugreek seeds in a cup of water for few minutes. After, boil this water for about 10 to 15 minutes. When it gets heated, strain the solution. Drink this fenugreek tea on a little heat. Drinking this tea frequently is good for the healthy body and eliminate bad breath gradually. Hence, drink this tea and don’t throw the resultant seeds. You can also consume those seeds to prevent any other health problems. The another name of baking soda is sodium bicarbonate. Without this, we can’t prepare any recipes in a kitchen. Along with providing taste to dishes, it is the best bad breath cure home remedy. Baking soda has great benefits for overall oral hygiene and mostly used for teeth whitening and to avoid bad mouth smell. Taking baking soda will nullify acid levels which are the main causes of halitosis in men. Hence, it balances acid levels in the body and helps to eliminate bad breath. Therefore, know how to use baking soda to get fresh breath. How to have fresh breath with baking soda? First, you must have baking soda and honey to prepare this natural remedy. Include a tbsp of baking soda and honey in a glass. Then, pour a cup of water in another vessel and boil for some time. Pour this warm water in a glass which contains Baking Soda and honey. Mix it well and drink this Juice for once in a day. Along with this drink, go with fresh green vegetables, grains, and pulses. Also, keep in mind to avoid eggs, meat, and raw onions for fast results. You can also brush your teeth with baking soda to prevent build up of bacteria on the tongue. Hence, this is the best solution for bad breath prevention. What do for bad breath? From ancient times, tea tree oil has been using as the wonderful natural cure for bad breath mouths. It has various health as well as beauty benefits. This oil contains antibacterial properties and hence kills all the bacteria which in turn stops bad odor from mouth. Along with treatment for bad breath and halitosis, you can also use this oil for cleansing, psoriasis, eczema, and acne. Therefore, use tea tree oil to eliminate bad breath and also to attain beautiful smile. How to treat bad breath at home using tea tree oil? Take tea tree oil, Lemon, and Peppermint oil in same quantities. Mix those three ingredients thoroughly and use the resultant as the mouthwash. Often, you can also make cream from this mixture just by cooling the solution. At the time of brushing use this cream along with toothpaste. Repeat this home remedy daily to fight with bad smell from mouths. The one problem that we can’t sit next to that person is stinky breath. This condition happened when some things missed in our oral hygiene. It’s difficult to get a fresh breath without following some basic Hygiene tips. What to take for bad breath? Initially, one must follow some home remedies for bad breath in adults. 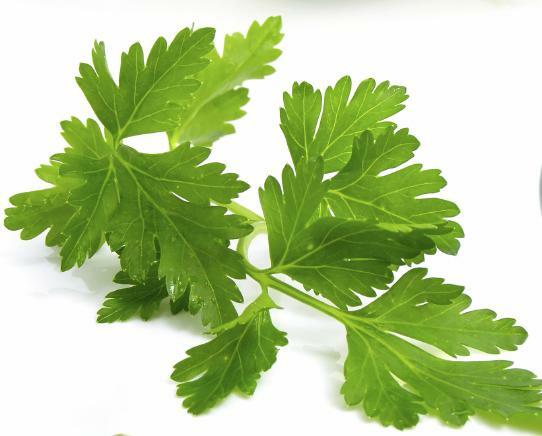 The one which we use for garnishing in dishes is Parsley, the best solution for bad breath removal. The strong flavor of parsley leaves keeps bacteria away and helps to get rid of bad breath fastly. Consuming these leaves also repair tooth decay and keeps dentist away. So, it’s better to eradicate halitosis with this simple remedy. How to get rid of mouth odor? First, take some parsley leaves and clean them thoroughly. Immerse those leaves in Vinegar. Leave it for two to three minutes. Then, take the leaves out of the solution and consume them. Use this remedy to fix bad breath. The chlorophyll is the main component to remove bad breath and also provides fresh breath. Hence, use this treatment for bad smell elimination whenever you required. All these bad breath home remedies are proved. Since the ingredients are cost effective, everyone can able to afford them. Hence, follow these simple tips and reduce the bad mouth smell.